Welcome to the Via Afrika Digital Education Academy! Here, you will learn everything you need to know in order to successfully implement digital education in your classroom. We’ve put together a short course for you to show you the ins and outs of the Academy. Complete each of the topics below to learn everything you need to know to get started with a bang! About the Badge Assessment Task. 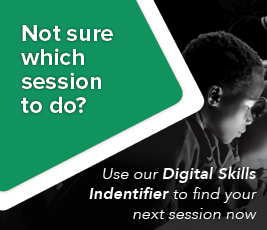 We need your South African ID number and SACE registration number to log your training with SACE. If you don’t supply it, we can’t log your training. If you don’t have a SACE number yet, you can always add it to your profile once you have one. Don’t worry – your information is safe with us, and we don’t share it with anyone other than SACE. Check your email for your voucher code for a free session of your choice.